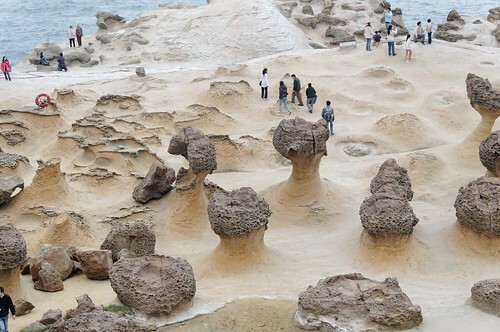 Yehliu Geo Park on the Northeast coast of Taiwan is one of most stunning geological landscapes in the world. 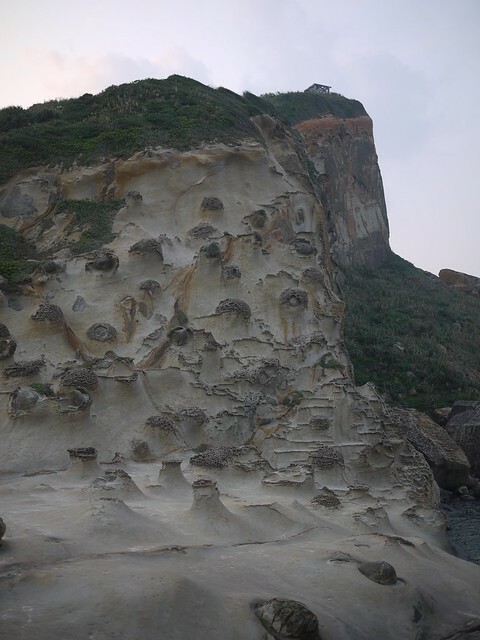 The seacoast along the 1700-metre long stretch of the thin peninsula jutting into sea, contains large quantities of lime stones, which due to sea/wind erosion, weathering and earth movement has made the landscape of the region almost like some extra-terrestrial terrain. 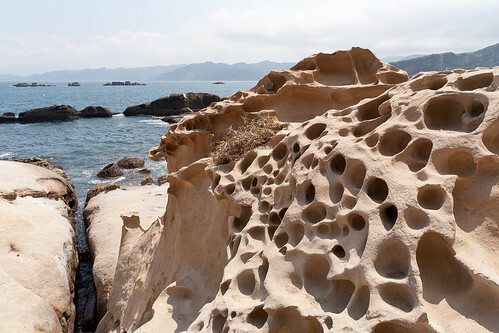 Whole area of the Geo-park is doted with rocks of unusual shapes. 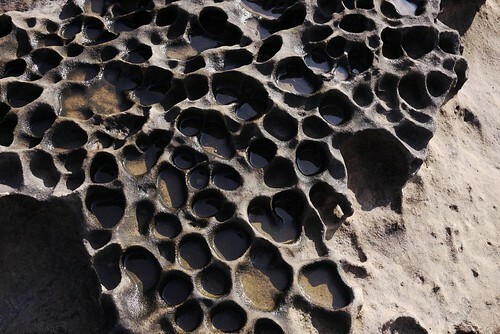 Amongst these are around 180 mushroom rock formations and several honeycombed rocks and seawater-eroded potholes. 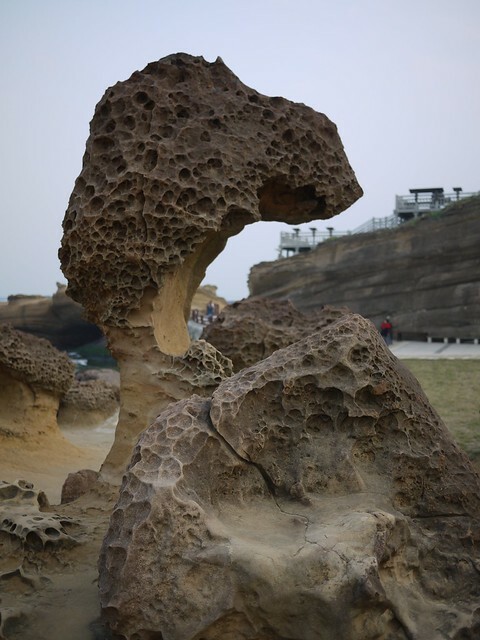 Many of these rocks also contain fossils of the sea life. 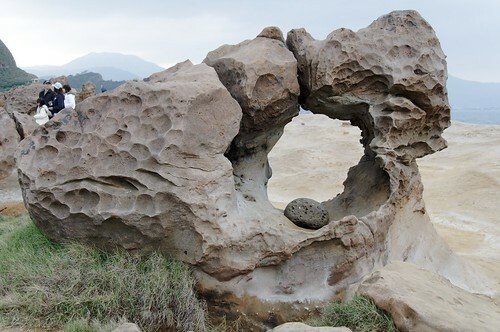 Several rocks which look like a face or objects of day to day life have been given names by the locals. 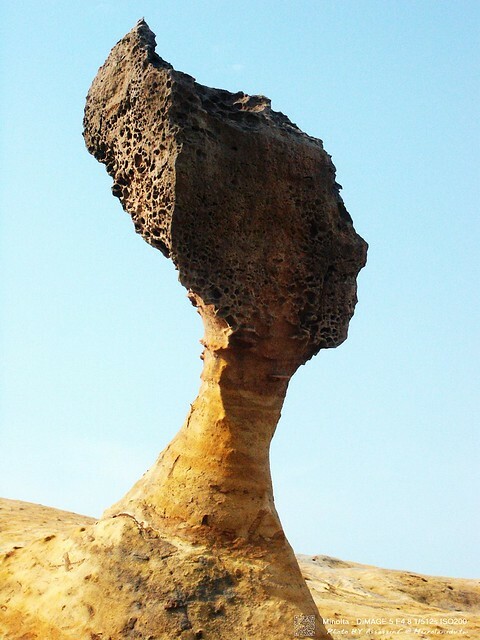 One such rock looks like Queen Nefertiti's head and is aptly named Queen’s Head Rock. 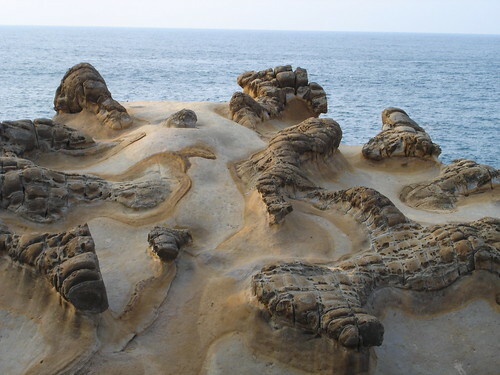 Other easily recognisable shapes are candles rock, ginger rock and Fairy's Slipper. 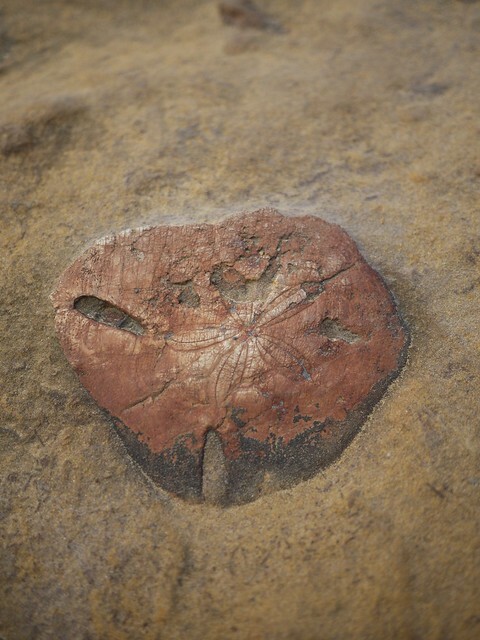 Shown below are a handful of the images from a huge collection of the remarkable rocks of the region. 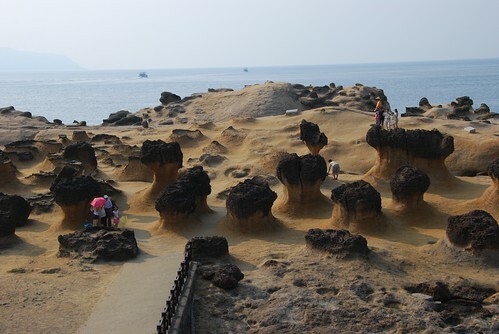 View location in Google Earth / Google Maps and Street View (Queen head can be easily seen in distance, towering over other rocks).